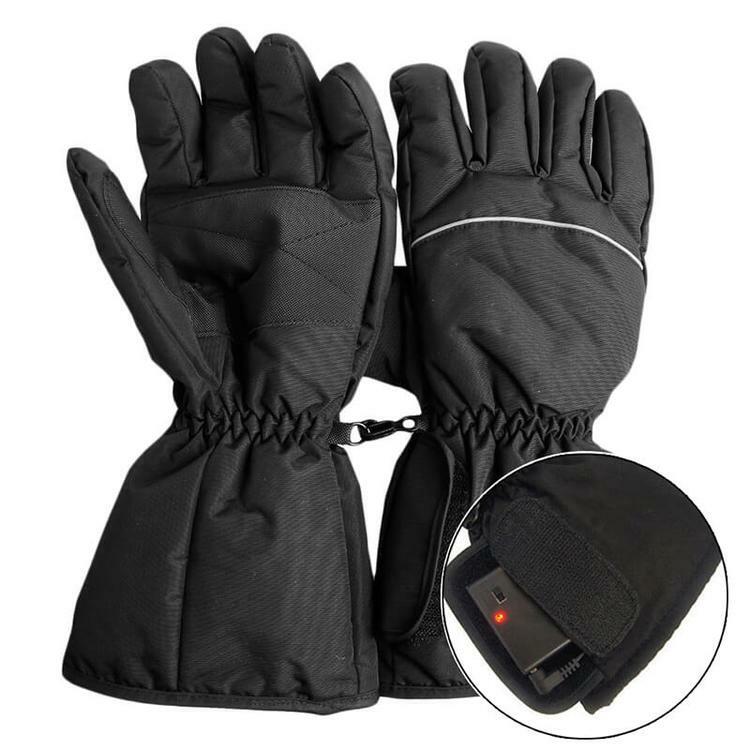 Electronically heated winter gloves, perfect for any cold weather activity. The Waterproof Heated Gloves are built with an innovative design & weather resistant construction to provide a long-lasting, warm and comfortable experience. The gloves can last up to 8 hours of warmth.The Waterproof Heated Gloves provide finger and thumb heating elements and feature Warming Textile Heated Insulation for maximum heat retention. These gloves keep your hands warm no matter how severe the weather is.Great for skiing, hiking, hunting, biking, shoveling snow and other activities in the cold environment. These gloves will allow you to forget about the cold and let you focus more on enjoying your time outdoors.